‘Burps of Death’ in the Bermuda Triangle? Use today’s MapMaker Interactive map to find the Bermuda Triangle. If you dare. The Bermuda Triangle doesn’t officially exist. 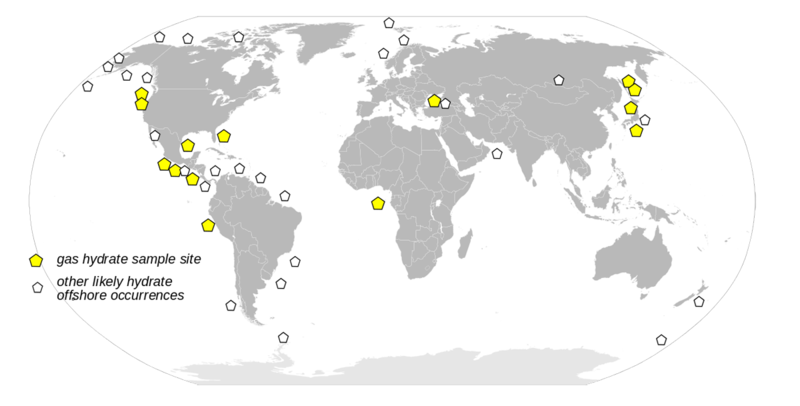 Agencies such as the U.S. Navy and the U.S. Board of Geographic Names do not recognize the region as anything other than an arbitrary area of the western North Atlantic Ocean. Some scientists think bubbly gas blowouts from seafloor methane deposits could contribute to “disappearances” associated with the Bermuda Triangle. What is the Bermuda Triangle? Take a look at today’s MapMaker Interactive map for some help. The Bermuda Triangle is a loosely defined region of the western North Atlantic Ocean, between Miami, Florida; San Juan, Puerto Rico; and the island of Bermuda. The Bermuda Triangle is one of the most hurricane-prone areas of the Atlantic Ocean. Ships and planes are much more likely to encounter strong tropical storms in this region than many others. The Gulf Stream, one of the world’s most recognizable ocean currents in the world, flows right through the Bermuda Triangle. Debris from sunken ships or planes may not drift to the bottom of the ocean, but instead be transported north by this extremely powerful current. The myth of the Bermuda Triangle is a great story perpetuated by unsupported evidence. Many accounts of missing vessels fail to report the weather conditions at the time of the ships’ disappearance, for example. Other accounts report ships or planes as “missing”—but fail to report their return. Methane clathrate is an unconventional form of natural gas made of an ice-like lattice of frozen water, which forms a “cage” around molecules of methane. 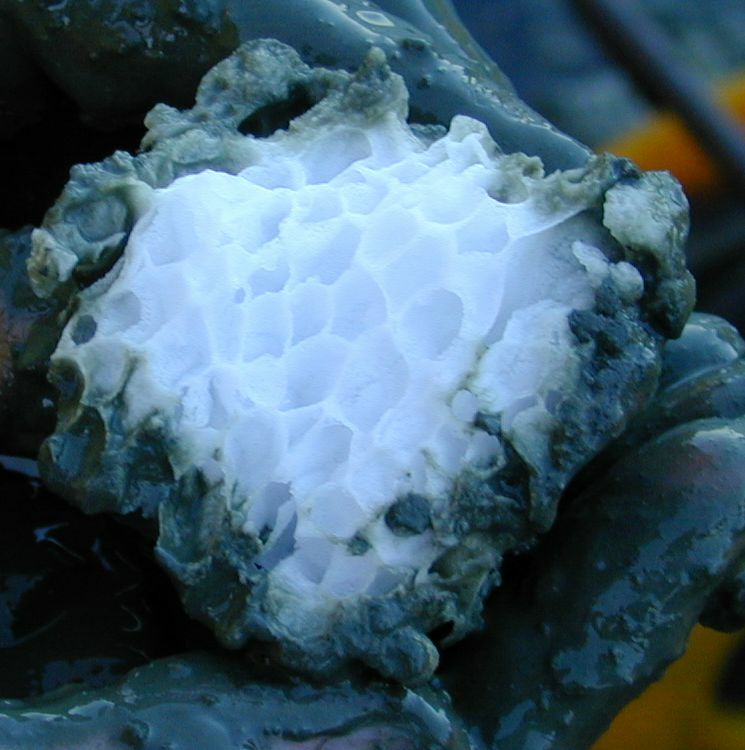 This beautiful sample of methane clathrate was unearthed off the coast of Oregon. Most methane deposits show up around continental shelves. What are methane (gas) hydrate deposits? How might methane bubbles disrupt the travel of ships and planes, and even contribute to disappearances? Methane bubbles can decrease the buoyancy of ships, and may contribute to sinking. Methane gas is also very flammable; operators of offshore oil platforms are well-aware of the dangers of methane blowouts, nicknamed “burps of death.” Some scientists speculate that methane gas released into the atmosphere may even interact with airplane engines and cause sudden mid-air explosions. Guardian: Do giant gas bubbles explain the mystery of the Bermuda Triangle? Associated Press via NBC News: Could methane bubbles sink ships? Reblogged this on Elizabeth Karlsson.